Mercury Marine, the world leader in marine propulsion, announced today, its new “Hello Summer” repower promotion. This new program is designed to allow consumers to take advantage of special repower financing and a six-year limited warranty on outboard engines ranging from 2.5hp to 25hp. “Mercury’s FourStroke outboard line from 25hp and below continue to raise the bar when it comes to performance and reliability,” said Randy Caruana, Mercury Marine vice president of the Americas & Asia Pacific. “With this new promotion, not only do you have the quietest engine on the market, but it comes with six years of coverage which allows the consumer to enjoy their time on the water with the added protection from Mercury. The “Hello Summer” Promotion is effective for eligible, repower sales only (excluding boat packages). All portable repower retail sales must be completed between June 26, 2017 and August 31, 2017. Consumers may visit an authorized participating Mercury outboard dealer for a complete list of eligible outboard engines and all terms and conditions. Restrictions and exclusions may apply. This promotion is valid in the U.S. and void where prohibited. 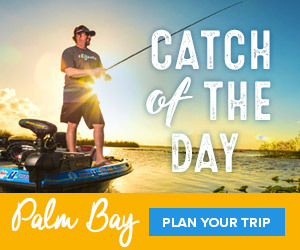 For additional details, please visit mercurymarine.com/promotions.